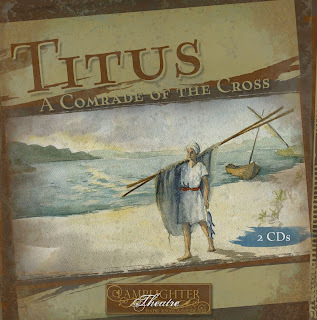 We take a look at the Season 4 premiere from Lamplighter Theatre today, a production called Titus: A Comrade of the Cross. Once again the Lamplighter team delivers an outstanding production. We also talk about the Top 100 Adventures in Odyssey episodes according to one blogger, share the winner of the Jonathan Park giveaway, check out feedback from you, the listener; and the newscast features some exciting stuff in the world of audio drama. How different would Odyssey be if AREM had been Richard Maxwell? How different would Odyssey be if Eugene had married Connie?